We perform a full spectrum of well exams including annual physicals, pap smears, well child/school physicals, sports physicals, and CDL physicals. We can advise you on cancer screening and illness prevention as well as healthy lifestyle choices. We perform a complete spectrum of sexual disease testing as well. Immunizations are not just for children. 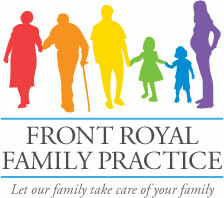 We partner with a web service called My Preventative Care. This service helps compare what your provider has in their records with what is recommended for routine preventative screening. It also provides links to informational reading to help patients make informed decisions about their care. If you are not already registered, please contact our office for your unique ID number which is required for registration.